Admire the scenery of the Swan River on this lunch cruise from Perth. You’ll travel upriver from the city center to see riverside sights like Burswood Entertainment Complex and the Belmont Racecourse. While you cruise, enjoy a buffet lunch of hot and cold dishes, dessert and a glass of wine. The return journey includes afternoon tea, live entertainment and more drinks. Effective April 4 to May 16, 2018, due to construction of the new Perth stadium footbridge see the note below about the change to your itinerary. 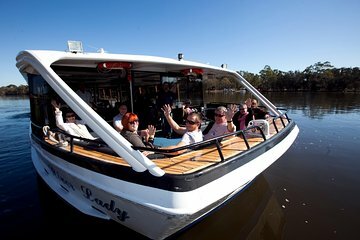 Your lunch cruise starts in central Perth, where you’ll board your boat and set off up the Swan River. Admire views of East Perth, Burswood Entertainment Complex and the Ascot and Belmont racecourses as you float along the water. Dine on a buffet lunch of seafood, chicken, salads, dessert and more, accompanied by a glass of wine. At the midway point of your cruise, turn around to return to the city, enjoying afternoon tea, drinks and live entertainment. Note: Effective from April 4 to May 16, 2018, due to the construction of the new stadium there will be a change to your itinerary. You will cruise from Barrack Street Jetty upstream to where the new stadium footbridge is being constructed and you can enjoy a great view of the new Perth Stadium and the Crown complex. 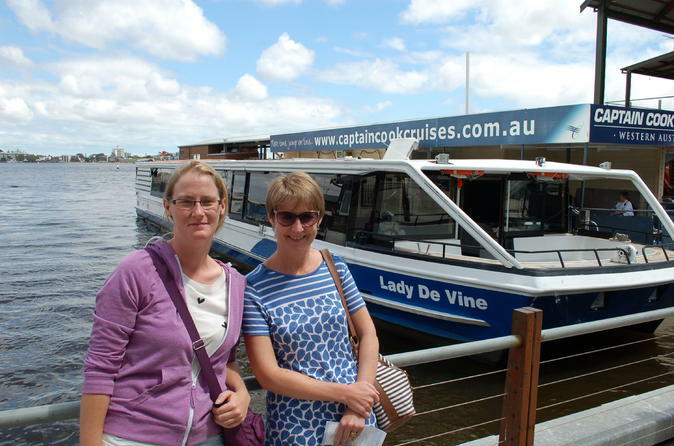 You will then cruise back down stream into Elizabeth Quay and onwards to experience the Canning River for a completely different view of the Swan with Captain’s commentary along the way. Prams are available on board. Please advise at time of booking.